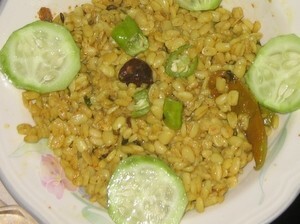 Daal Maash recipe by hotline_hl at DesiRecipes.com. Salt 1 tsp or according to taste. Green chili 2-3 for garnishing. Brown the onion , then add 1 cup of water and let cook over medium heat. Keep stirring and crush onion as you stir. Now add the garlic and ginger keep stirring, and then add all the dry ingredients. Add the daal and stir well, stir till you see oil seperate from the daal. Add one cup of water, bring the water to boil and then reduce the flame to low and cover saucepan with a lid. Cook for about 10-15 minutes or when the daal is cooked.